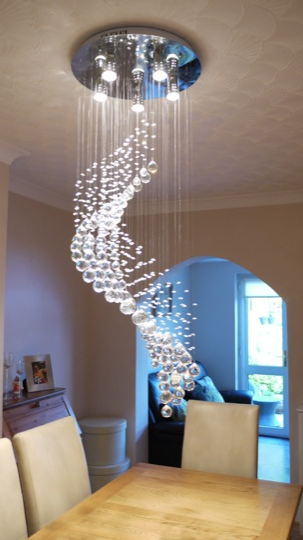 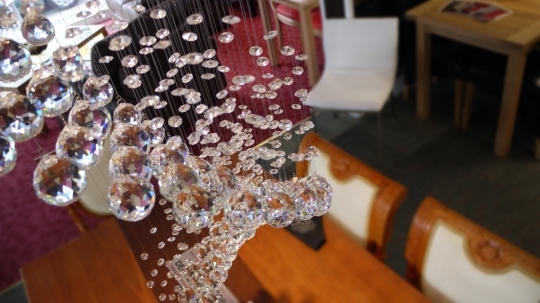 The Undulato Chandelier is a semi-spiral design, featuring various crystal sizes but all high clarity 30% lead crystal for an absolutely remarkable refraction effect. 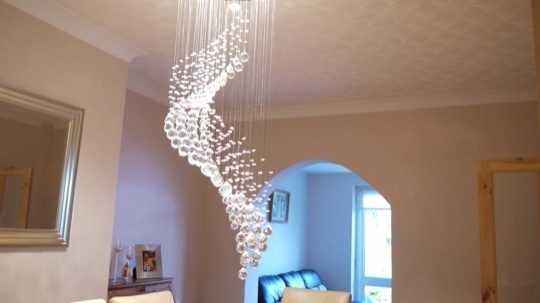 With natural daylight or false halogen lighting, these crystals will display a multi-coloured array of light. 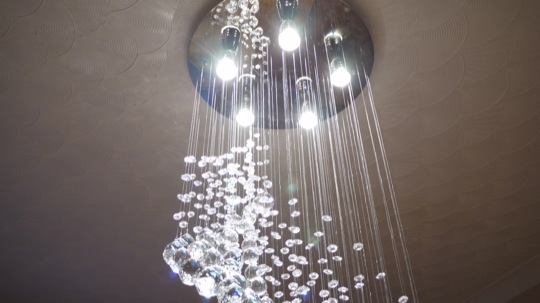 The lighting itself can be controlled either by your room switch or lighting system or indeed by its own remote control. 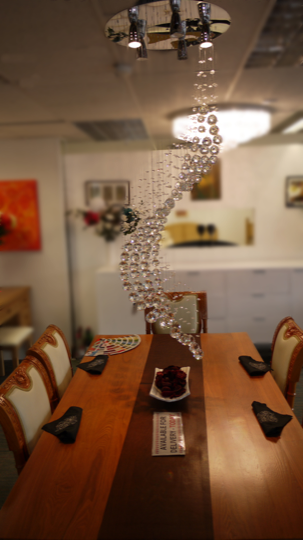 The standard Undulato is ∅500mm by 1300mm drop but can be made to suite your interior with a bespoke width, length or finish.